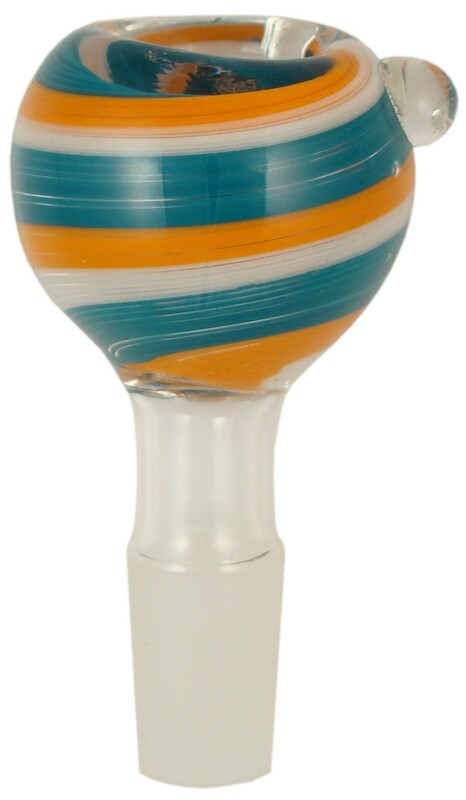 This glass on glass tobacco hookah bowl features a 19mm ground glass joint, marbles around the bowl, and rod work throughout the bowl. It is fumed with silver and/or gold to give it it's color changing properties. Colors and designs may vary. Please remember that ground joints are always measured as the diameter around the largest part of the ground portion. Male pieces are measured by the outside diameter and female pieces are measured by the inside diameter.